Who We Are: We exist to facilitate community projects where additional funding & or staffing may be required to make your dream project happen. 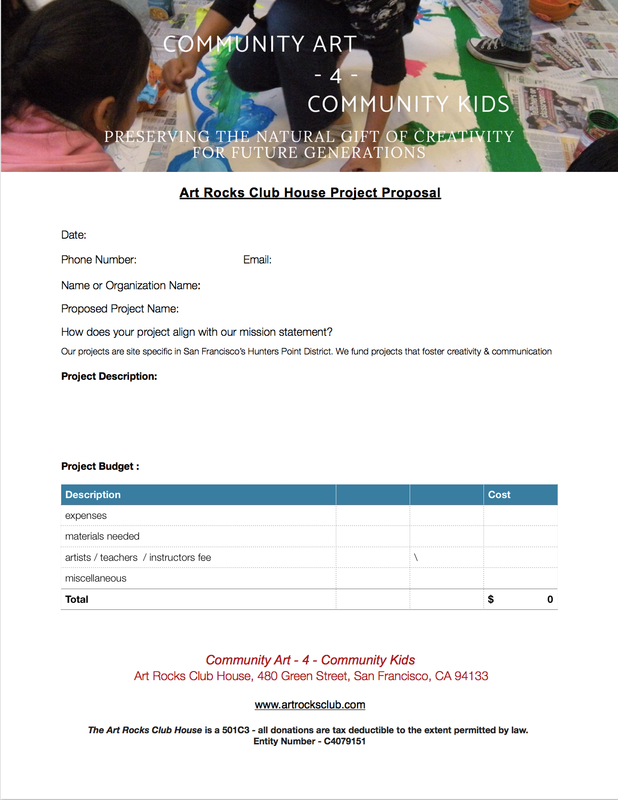 Art Rocks Club House is truly dedicated to helping kids k-5 with an emphasis being in the Bayview. We're not limited to just art projects. Consideration will be given to music, theatre, performance, poetry or any other concepts. Please keep in mind grants are site specific,project based and must exist within the context of our mission statement. Your Application will be reviewed by our staff and a timely response will be made. ​ We welcome your participation with the Art Rocks Club House.